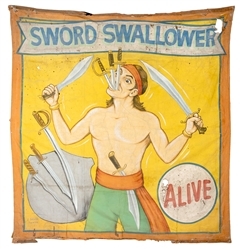 Lot Detail - Sword Swallower. Sideshow Banner. Siegler, J. Sword Swallower. Sideshow Banner. Tampa, ca. 1945. 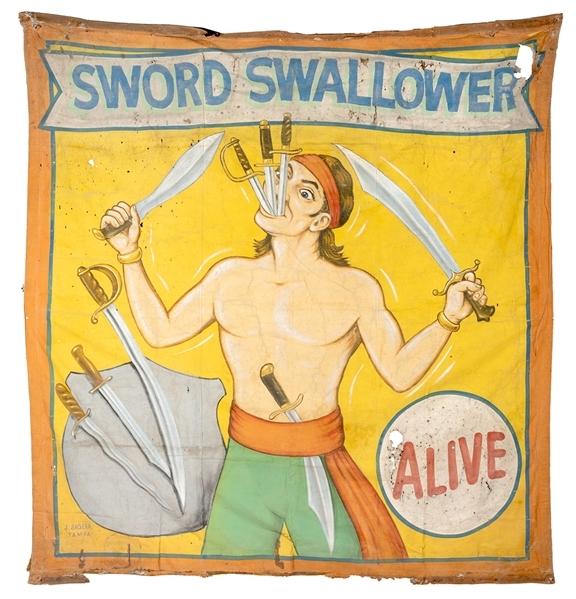 The bare-chested sword swallower holds one blade in each hand while three remain thrust down his throat. 91 x 84”. Considerably worn and torn.